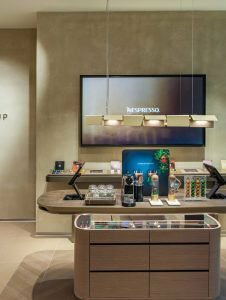 Coffee specialist Nespresso has opened a new boutique concept at Arndale Manchester, which boasts several innovative, sustainable design features. 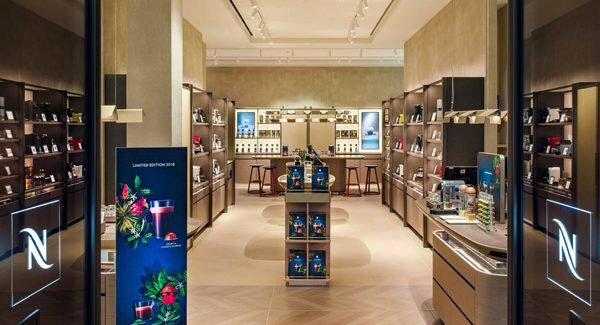 Designed by Portview Fit-Out, the concept boutique merges retail with hospitality in an immersive space where coffee lovers can not only come in and enjoy the merchandise, but go on a voyage of discovery by engaging with in-store workshops and demonstrations. 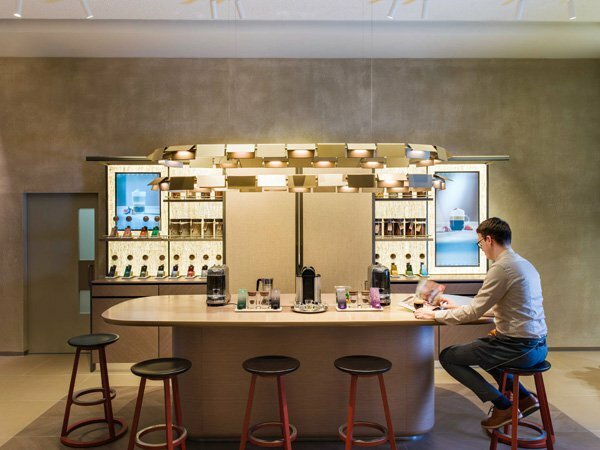 The multi-sensory environment gives customers the opportunity to interact with the product in a more relaxed and leisurely setting, delivering a memorable experience that allows for deeper learning and coffee exploration. Throughout the boutique, visitors experience elements that reflect the deep commitment Nespresso has to sustainability and a circular economy – one that is restorative by nature and works to minimise waste through careful design. Every feature of the retail environment has been purposefully designed to reference the provenance of the coffee in a bid to connect the customer to its cultural context and artisanal roots. This includes the table tops, which are made of used coffee grounds from the Nespresso factory in Switzerland, to wood which has been 100 per cent sourced from Nespresso reforestation programs on coffee farms. In addition to a capsule recycling drop-off point, the artwork in the boutique has been created from recycled Nespresso aluminium. 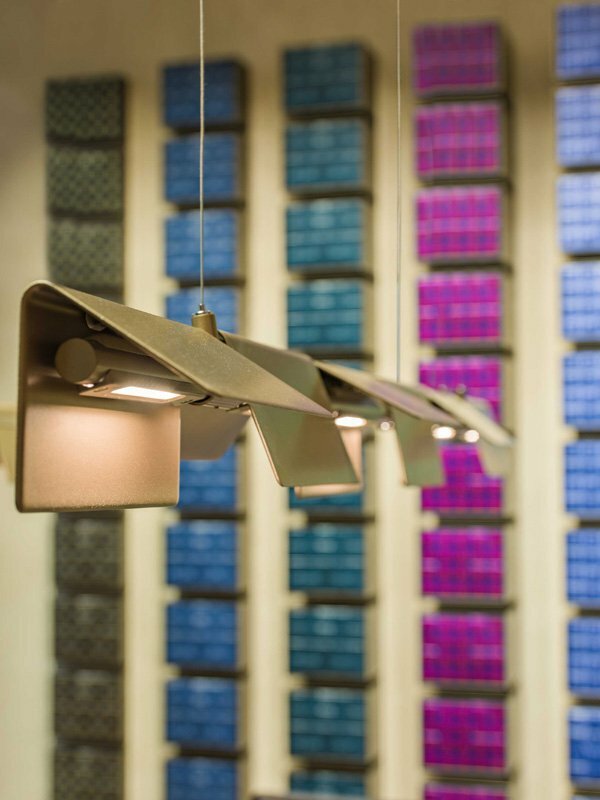 The brushed aluminium lamps suspended above the tasting areas, also subtly reference the bean to cup journey by emulating the heat lamps that help to harvest the coffee plants. The store incorporates two complementary geometric shapes that pay tribute to the ethos of the luxury coffee brand. The square, which can be seen in the display units and POS, is synonymous with the brand’s values of perfection, pleasure, aestheticism and simplicity. The circle, which is referenced in the store’s bar stools and curved tasting unit, evokes the coffee cup, discovery, tasting, and the senses. Eclectic materials, such as bespoke joinery, soft leather, brushed metal and polished glass, have been used to evoke a more harmonious shopping experience. ‘We’ve been very fortunate to work with Nespresso by rolling out their exciting new concept boutiques in Manchester and Reading,’ says Simon Campbell, managing director of Portview Fit-Out. ‘This project required us to harness our skills in logistics to procure specialist materials from across Europe, that met with Nespresso’s strong sustainability principles and design requirements. Another major consideration was to ensure the shopfront was compliant with Arndale’s design criteria and that all parties involved were very happy with the finished look. 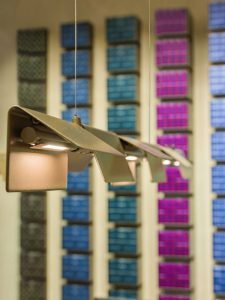 ‘It has been hugely inspiring to work with a retailer that champions sustainable design and goes the extra mile to ensure the store’s interior is a true representation of the brand’s purpose and ethos. 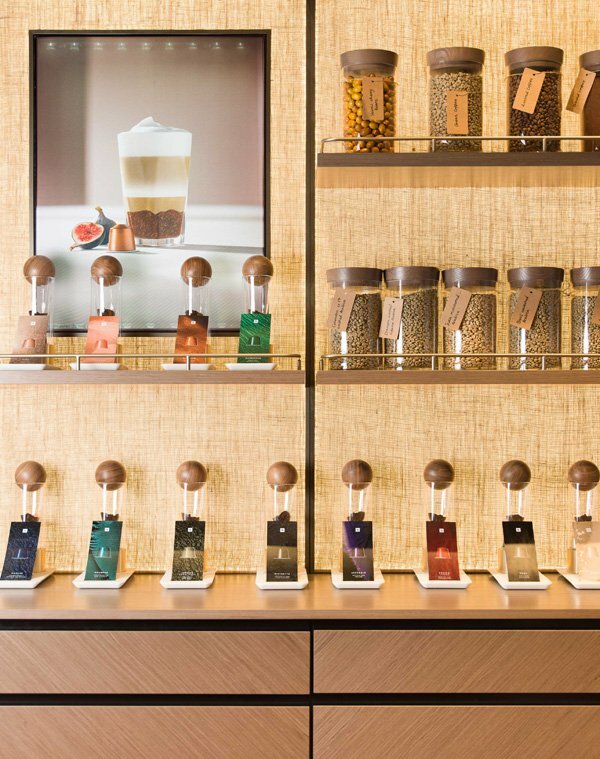 ‘The end result is a beautiful boutique that defies tradition by cleverly combining textured finishes and repurposed materials to create a rich, multisensorial environment that coffee aficionados will appreciate and love,’ says Campbell.